Fresh off a victory in Super Bowl LI last week, New England Patriots wide receiver spent Monday night participating in a fashion show by German fashion designer Philipp Plein at the New York Public Library in Manhattan. The 31-year-old wideout wore an all-black outfit with boots and ear piercings for his trip down the runway, as his girlfriend Olivia Culpo watched nearby. 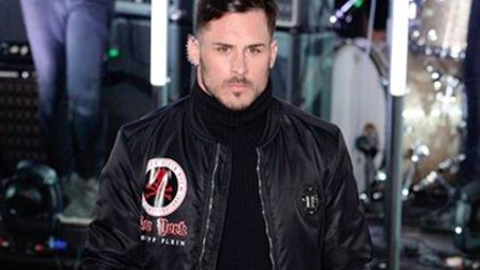 “[Amendola] seemed confident,” said Alyssa Vingan Klein, Editor-in-Chief of Fashionista.com, who attended the show. “He was really chatty and friendly backstage with the models. …And I don’t think he screwed up the runway by walking the wrong way like Desiigner did. Looking good, Danny. Maybe another Super Bowl ring will tie that whole outfit together.